Don’t worry, Ving got a duplicate award later on. If you’ve known me for any length of time then you know I worship Pam Grier and have ever since I started seeing her movies back in the 1970’s. Her legendary movie career during the 70’s and 80’s has enshrined her as the Queen of Blaxplotation and over the years she’s continued to flourish, demonstrating an acting ability that proved she had a range and talent that has taken her far beyond that period. 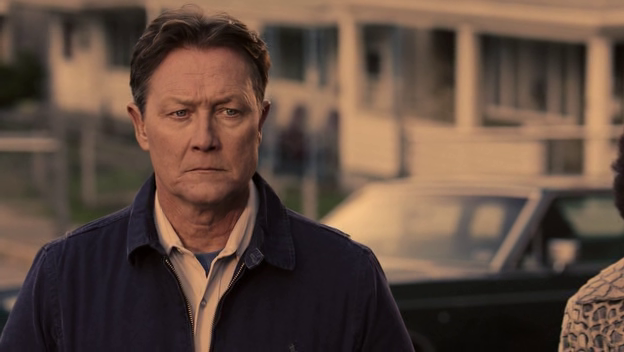 Robert Patrick’s career took off with his role as the T-1000 in “Terminator 2: Judgment Day” and just kept on taking off. I really enjoyed him when he joined the cast of “The X-Files” and I actually liked the show a lot better when he was there. So we’re agreed that we’ve got three of the best and most talented actors working today, right? Actors who certainly have no problem finding work, right? So what are they doing in a movie like MAFIA? 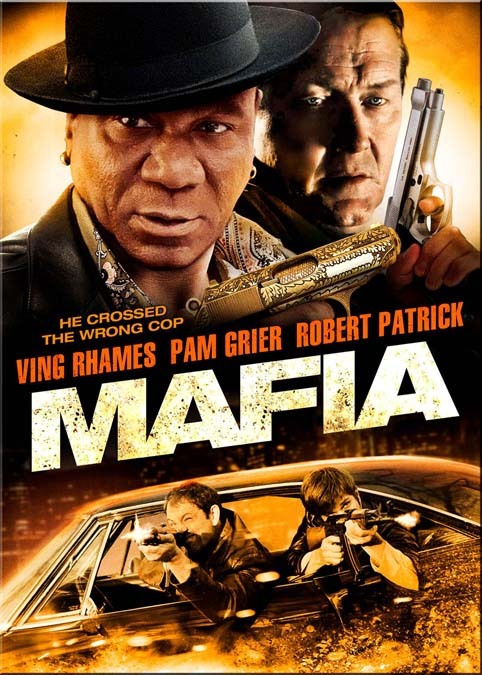 I highly suspect that Ving Rhames asked Pam Grier and Robert Patrick to do him a favor and co-star in the movie because he’s recently been making quite a few movies with MAFIA’s writer/director Ryan Combs. Movies such as “King of The Avenue” “Caged Animal” and “Animal 2” Ryan Combs is an African-American writer/director I wasn’t aware of until I saw MAFIA and even though this movie doesn’t hit the bullseye I’m sufficiently intrigued by what I saw in MAFIA to check out some of his other movies. And if that was the intention behind having actors like Ving Rhames, Pam Grier and Robert Patrick in this movie then it succeeded. Set in 1975 the movie recounts the last few days in the career of crime boss Renzo Wes (Ving Rhames) as he sets about obliterating his rival crime bosses. Renzo is in turn being pursued by police detectives James Womack (Pam Grier) and her new partner Jules Dupree (Robert Patrick) Renzo killed Womack’s ex-partner and she’s on a holy rampage to do everything and anything she can to bring him down. Dupree just wants to take it easy as he’s planning on getting married soon and doesn’t want anything going down that will interfere with that. He’s got enough on his plate as his fiancée (Melanie Marden) has told him that her brother is viciously racist. The turf war escalates, jeopardizing Renzo’s criminal empire and straining his relationship with his right hand man Train (Sean Derry) who is rightly concerned that all the killing is going to bring the cops down on them with both feet. Renzo continues his war against his rivals while being plagued by visions of a chubby little boy holding a yellow toy truck and looking at Renzo with accusing eyes. And are his other visions of him in prison memories or premonitions? First off, I have no idea why this movie’s title was changed to MAFIA as there is never so much as a mention of that criminal organization in the movie’s entire running time. The original title of “The Consequence of Renzo Wes” is a much better, more original title and fits the tone of the movie much better. The movie obviously doesn’t have the kind of budget you would think a movie starring these three would have. The 1970’s period flavor is invoked strictly through the cars that are driven along with the appropriate clothing and hairstyles. 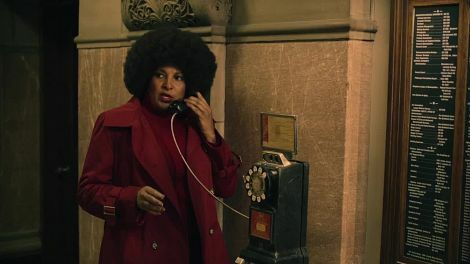 In particular Pam Grier sports an afro that I would swear is the same one from “Foxy Brown” she used to hide a gun and razor blades in. But the slang used is contemporary (we didn’t say “ya feel me?” back in the 1970’s) and the music used is that fake pseudo 70’s music filmmaker use when they don’t have the budget to pay for the rights to use music and songs from that period. In addition, the city the action takes place in is never named or identified and there’s never any landmarks or anything mentioned or technology (outside of rotary phones) specific to that time period. With a larger budget and better script, MAFIA could have been more of a notable movie. Combs deliberately films it as if it were a 1970’s exploitation crime thriller and I respond to the sincerity of the intent. But the movie is too laid back and too restrained. It doesn’t have that manic quality true 70’s exploitation B-movies had where you feel as if anything could happen at any time. Renzo has an enforcer who carries two double barreled shotguns who could have been turned into a memorable supporting character but he just stays in the background most of the time. And why is Pam Grier’s character’s first name “James”? And this is the main impression I got while watching MAFIA : that the writer hasn’t read any real hardboiled crime/gangster stories or novels and not really all that much of any sort of crime fiction at all. 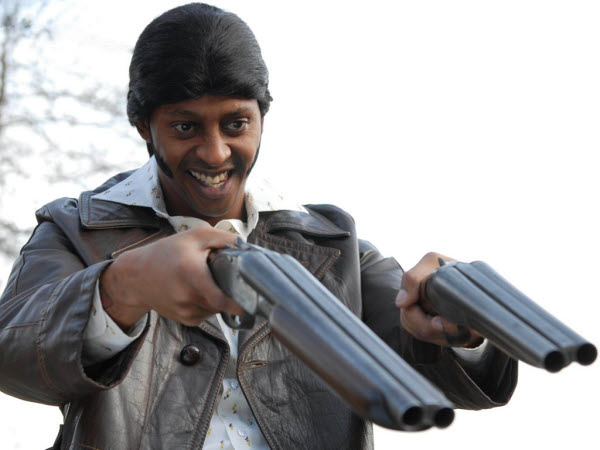 MAFIA feels to me like it was made by somebody who’s simply seen a bunch of 70’s black exploitation movies and said, “yeah, I wanna do that.” The problem is that there’s no heat, no passion in the movie and no originality brought to the story or the characters. This movie really needed a writer who could have fleshed out the thin story, given the characters some dimensions and brought some much needed energy to the plot and make it sing and swing instead of just going from one predictable point to another. So should you see MAFIA? If you don’t, you won’t be missing a thing. The only actor bringing their A-game to this is Ving Rhames himself. Pam Grier and Robert Patrick stay safely on autopilot for this one. And it’s got a mercifully short running time of 82 minutes so you won’t waste too much time if you do.